Barnet Markson, who died in March 2014 just three weeks shy of his 100th birthday, was a founding member of Beth Sholom Congregation. Barney was the youngest of seven children born to his parents Eliyahu and Jennie Markowitz, who came to Toronto from Poland with five of their children about 1907. The name was originally Markovyetsky; Barney followed the lead of his older brother, the well-known Toronto doctor Charles Markson, in changing it from Markowitz to Markson. A baker in the old country, Barney’s father opened a bakery at the corner of Richmond and Victoria Streets, and Barney lived with his parents above the bakery there at at other locations, Elliott said. Barney married the former Gertrude Herschhorn in 1944. A tailor’s daughter, Gertrude had been living with her parents, Ben and Annie Herschenhorn, first on Markham Street, then on Northcliffe Blvd. The couple were married in the Ostrovtzer Synagogue on Cecil Street. Soon after the marriage, they took up residence above Barney’s newly-built pharmacy on Eglinton Avenue, an area of town that experienced its first serious development boom only in the postwar era. The Marksons, in a sense, were pioneers. In a small way, Barney had been part of that boom. Before building his pharmacy at Westover Hill Road and Eglinton, he had been renting space for an earlier pharmacy but vacated the premises when the landlord sought to double the rent; the place eventually became Hashmall’s Pharmacy. Then he bought a property on the site where the China House Restaurant later stood; within a year he received a purchase offer of more than double of what he had paid, so he sold it and purchased the Westover Hill site. 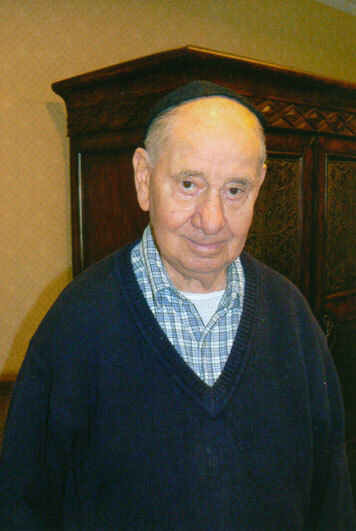 For years he joined with the late Rabbi David Monson in performing the mitzvah of bichur cholim, visiting the sick. “He used to talk about how he and Monson used to be out nearly every night after he closed the pharmacy — they’d go and visit the sick and the elderly, people in hospitals,” Elliott recalled. He was also active in the Brotherhood and volunteered his time for the Sunday morning Tefilin Club for youngsters of post-bar-mitzvah age. Barnet and Gertrude also ran the shul’s bowling league for years; Gertrude was deeply involved with the Sisterhood. The family remained active with the shul even after moving away to Palm Drive; Barney eventually sold the pharmacy and worked for Shopper’s Drug Mart. Beth Sholom would remain a central part of their lives, just as it would be for Gertrude’s sister and her husband, Rose and Sam Stark, who were also original founding members. On the High Holidays the Marksons always had seats in the auditorium downstairs — the same seats each year, a tradition that has continued right up to the present. “This year, when my Dad wasn’t able to attend, I used his seat downstairs,” said Elliott, a teacher of statistics for the School of Business at Seneca College (he is retiring this year). 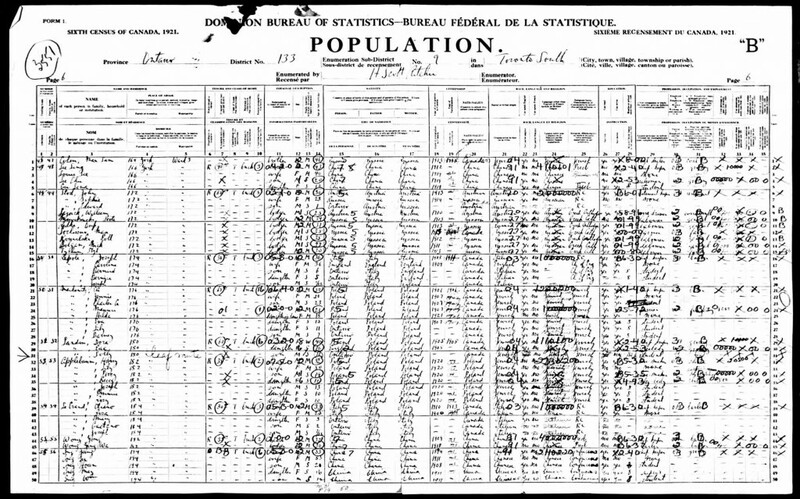 Below, Barney Markowitz with his family in the Toronto census of 1921.